It's the time of deals and crushes in stores, unless you opt to do your shopping from the luxury of home of course. That's probably the smart move and now UK retailers are increasingly joining in, with Nintendo UK's official store unveiling its premier deals. The main options can be found on this 3DS hardware page, at which Nintendo seems keen to get rid of its old 3DS XL stock. They're original models and some of the better deals - not all of them - are below. There are other options available too, and other discounts can be found on a range of merchandise. These deals include a gold Link Wii Wheel, a Splatoon hat, an amiibo display case, a whole load of t-shirts and more besides. So, any of you in the UK tempted by these offers? I got an Animal Crossing CD for £2.50. Because why the fudge not? Sorry, but it feels like these are not very good discounts and offers at all. The AC cd was cheaper last year! The discounts are off of the original RRP and those items can often be found for around those prices with perhaps the exception of the special editions. And the offers are the same as the usual offers - a free amiibo case etc. 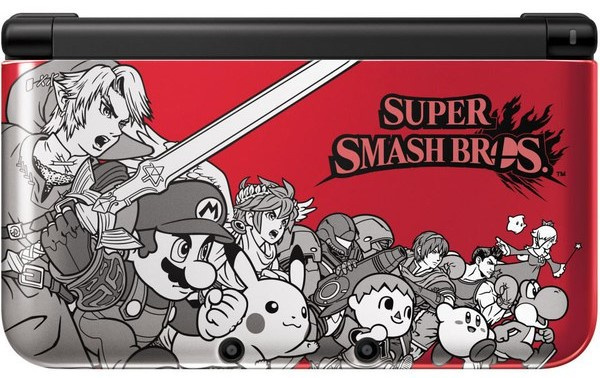 Alright if you want a special edition of an almost retired and certainly replaced console (New 3DS). More a charcoal grey Friday. UK is rubbish at this. Sorry for being a bit bleak. Seriously hope people find what they're looking for. The build a bundle might be the way to go. Feels more like a clearance sale really, so meh. But I did get a free Skull Kid figurine when I bought my Amiibo festival bundle, that'll sell nicely on eBay. Those are really the ONLY decent deals. The PS4 and Xbone are now the same price as a Wii U, which was crying out for a sub £200 price tag. Can't see too many parents picking up a Wii U off amazon if it can't beat those two... WTF Nintendo?! man this years black Friday has been good on consoles, terrible on games. I went into my local GAME at midnight to check out their deals and found garbage. Amiibo on sale for their RRP and great "deals" like "save £7 on fallout 4 only £47.99"
Can't blame them for trying to shift old stock, but couldn't (shouldn't) they be pushing people to get the New 3DS? If I were a casual and saw that deal on the official site, I'd assume it was up to date and the latest model. and doesn't it make you wonder how much money they're really worth? If they can afford to sell them at £99 with free stuff and still be making profit then wow do I feel ripped paying almost double that >_> lol, oh well.